SAVORY100 wrote: Oh my days, I only thought that there were two tunic colours, that grey and dark olive though are particularly new to me... time to go hunting... again! Thanks Bill. Appreciate the nod. I wish I had more time to photograph and document the others I have to share. A quarter of the way through the year and only 2 figures added to the thread. I'll endeavour to get a couple more done before the end of May! All four spanish produced. 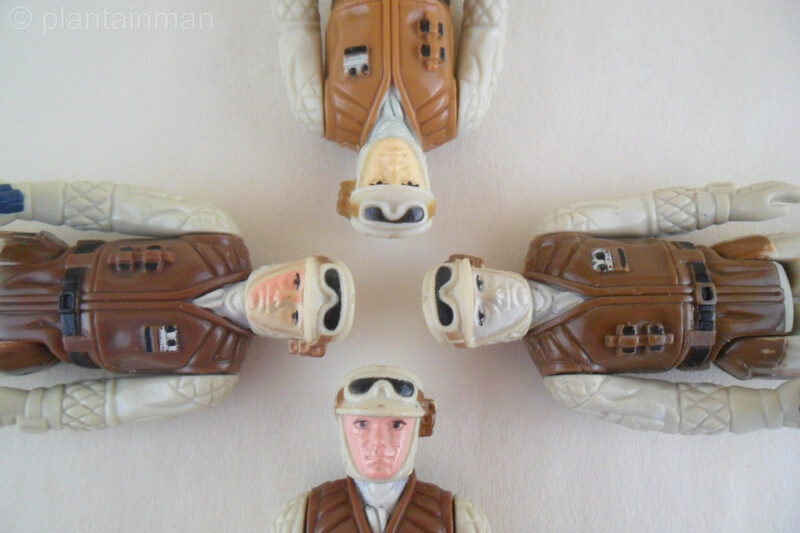 The dark brown rebel soldier (DBRS) can come in two tones, A muddy brown as can be seen on the pale face figure, and a richer red-brown which can be seen on both the creamy and pink face figures. 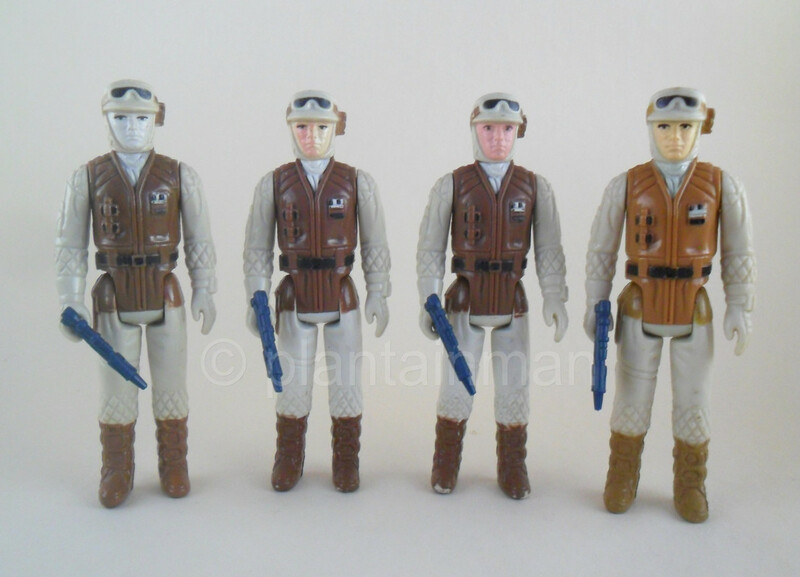 The three DBRS are alongside their parent figure, The Family 3 HK Kenner. 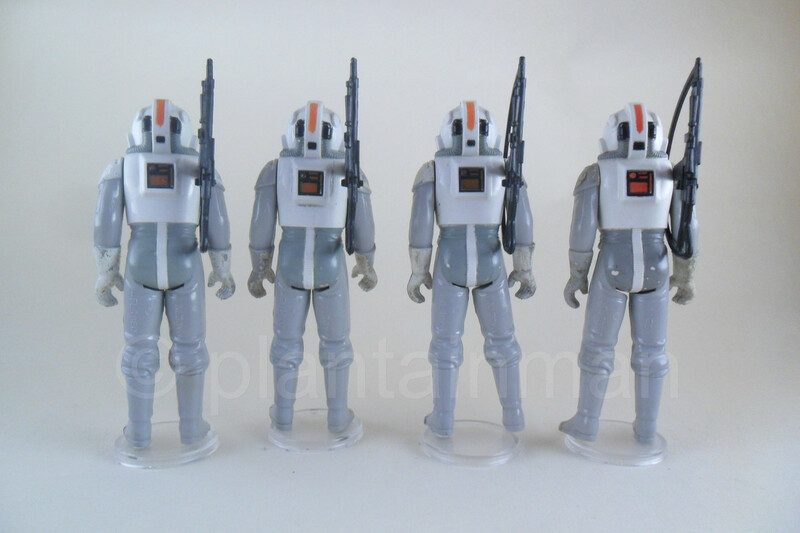 The mould is the same, But the appearance is very different, which makes the DBRS such a great variant! Last edited by plantainman on Wed Jul 18, 2018 9:48 pm, edited 3 times in total. Great info as always. thank you. Tarkin's nosehair wrote: Great info as always. thank you. 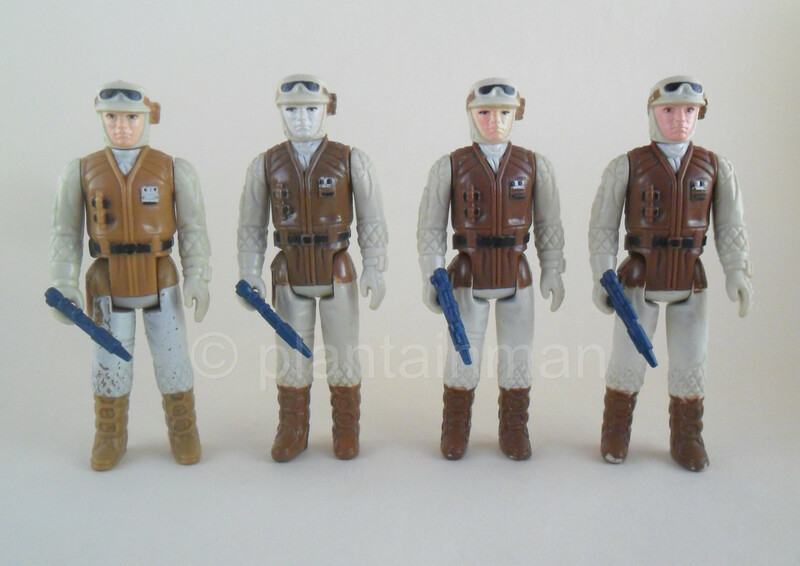 Yeah Rebel soldier is such a great sculpt, and so many Coo's to collect also. 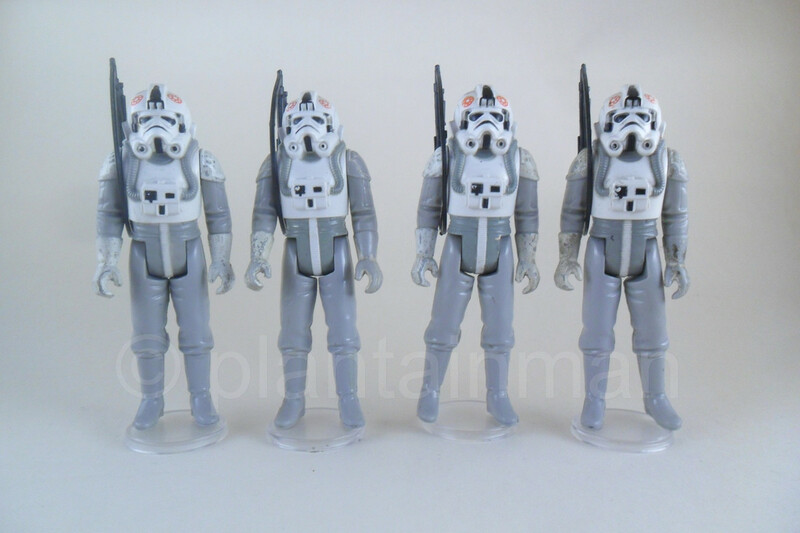 Difficult to narrow it down to just 8 variants for this thread, because the China and blank raised bar figures are quirky too! 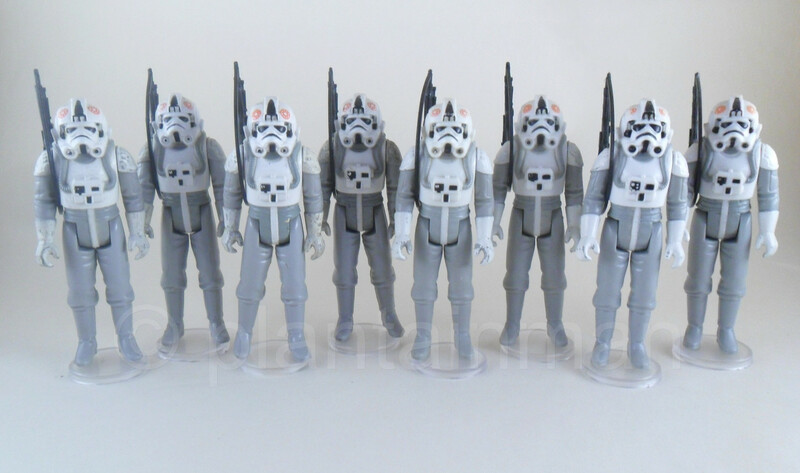 There's also a few different minor paint app variants on the Poch figures also, But this info can be found elsewhere on the net. Awesome info. I've been searching for some detailed variant info to identify my hammerheads and this is the best Coo guide I've come across by far. 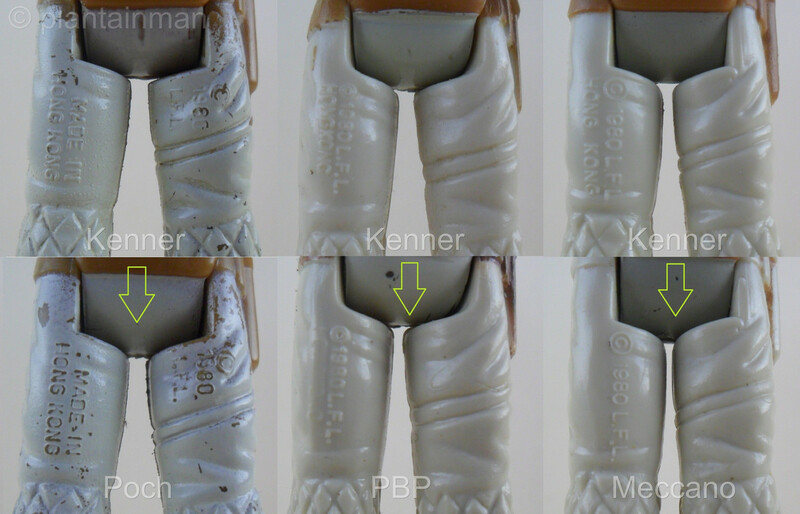 Helped me determine my euro variant and the right pbp blaster to place with him. TheJabbaWookie wrote: Awesome info. I've been searching for some detailed variant info to identify my hammerheads and this is the best Coo guide I've come across by far. Helped me determine my euro variant and the right pbp blaster to place with him. Really glad to hear you have been assisted in some way. That's what this info is here for. 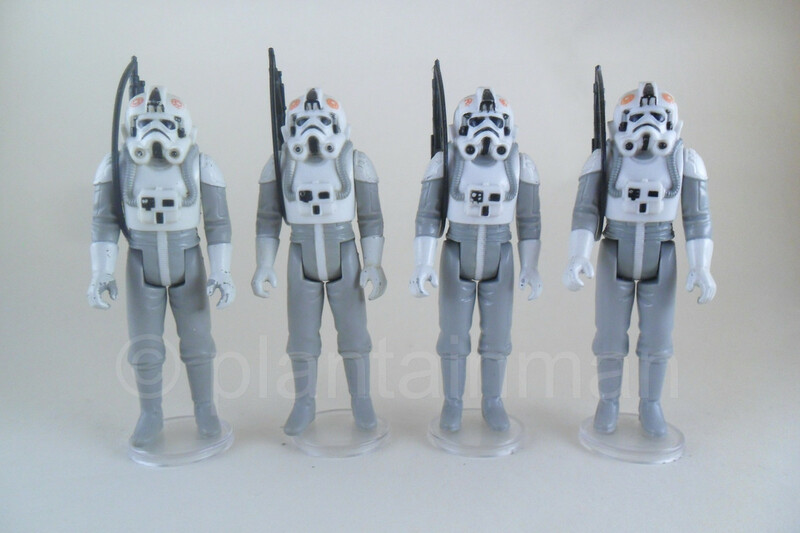 The pbp hammerheads have a lighter blue imperial blaster with the bar underneath the clip. 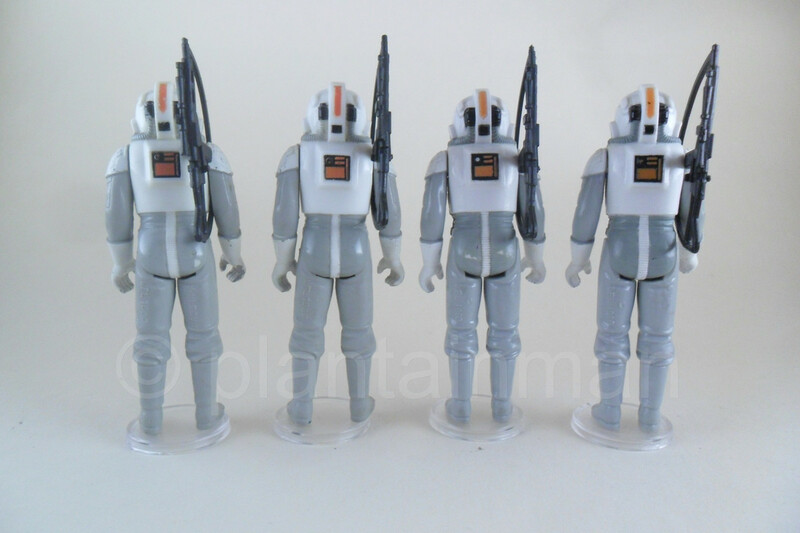 The PBP AT-AT Driver figures have a hard plastic sculpt, Akin to that of the PBP snowtroopers. 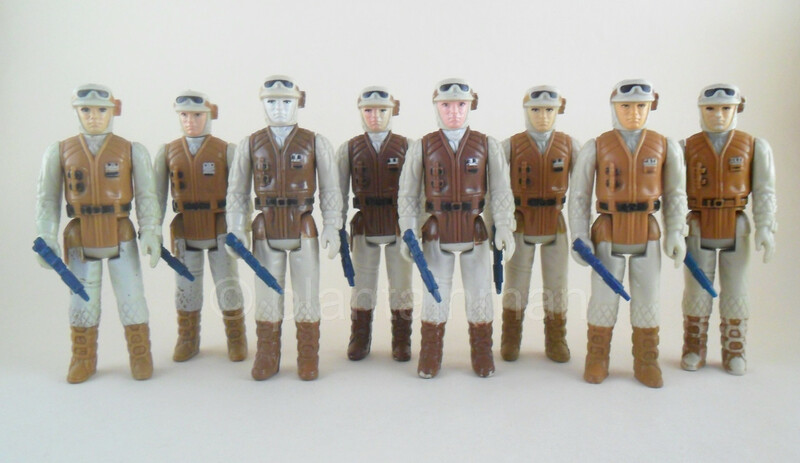 It is very noticeable against the softer sculpt of the EURO and kenner figures. Last edited by plantainman on Wed Jul 18, 2018 9:44 pm, edited 3 times in total. So are the dark red emblems an exclusive to the Poch At At Driver or can they be found on the PBP variant and others too? TheJabbaWookie wrote: So are the dark red emblems an exclusive to the Poch At At Driver or can they be found on the PBP variant and others too?